Texas Regional Officers have an amazing opportunity to develop leadership skills as they work with the Regional leadership team to plan and facilitate three regional events. In Texas, chapters run for office and then appoint an chapter member to represent the chapter as the Regional Officer. 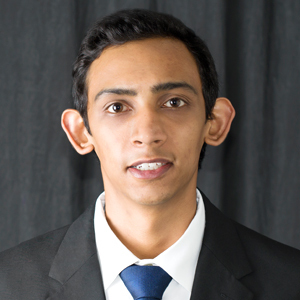 Michael Raphael Aguilar is a student at Lone Star College-CyFair in Cypress, Texas. He was born and raised in Houston and is a 2015 graduate of Cypress Woods High School. 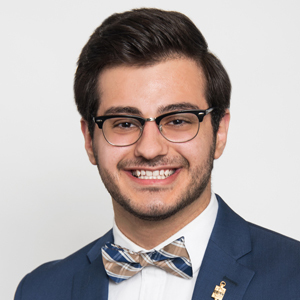 As a first-generation college student, Michael has developed a deep connection to his education and has strived to apply it in his involvement on campus and in the community. Before he was elected as Texas Regional President, Michael was the Vice-President of Service for the Beta Lambda Mu chapter of Phi Theta Kappa. Through his chapter’s Honors in Action project, he researched Juvenile Justice and helped organize a mentorship program for students at a disciplinary Alternative Learning Center. The experience of this project has led him to study the larger issue of mass incarceration in America and its roots in American history. Recently, Michael traveled to Louisiana visiting prisons and former plantations in an Alternative Spring Break trip focused on Criminal Justice Reform. He is also the Vice-President of Representation for the Honors College Student Organization on his campus. 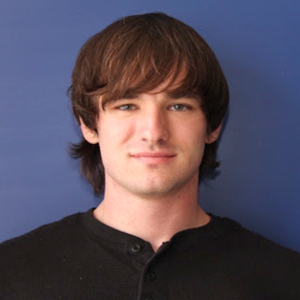 As an officer, Michael is responsible for maintaining the strong student community within the Honors College. As an Honors student, Michael has presented several projects at research conferences like the Gulf Coast Intercollegiate Consortium. Through an Honors Environmental Science service learning project, Michael helped organize a semester-long Food Drive to fight food insecurity among students at Lone Star-CyFair. Michael values service and civic engagement and he understands that an education is the foundation for a future driven by these values. Hence, Michael is committed to finishing his Associate’s degree at Lone Star College and will be transferring after the Spring 2018 semester. He plans to study Economics and History at a four-year university and ultimately hopes to become a leader in his community through activism and scholarship. Laura Clark, a.k.a. Switzerland, Computer, and, most recently, Princess Leia, is your District I Vice President. She was born and raised in Albuquerque, New Mexico with her three siblings. She and her family spent their summers camping, hiking, fishing, and horseback riding. This instilled in her a love for all things outdoorsy. Her family moved to Odessa for the “scenery” when she was thirteen. Here, she was able to continue to pursue her love of music. She has played the flute consistently for the past twelve years. During that time, she has had the privilege of participating in several honor bands, youth symphonies, the 2015 All Region Concert Band, and her college concert band. She is now twenty-one years old and a business major. She will graduate from Odessa College in May 2018 with her Associates in Business Administration. Then she will transfer to a university in the fall of 2018 to pursue a bachelor degree. It has been her pleasure to serve my chapter, Eta Tau, as their Recording Officer for the past year. With the help of her awesome advisors and chapter officers and members, she have been gently shoved out of her comfort zone and encouraged to strengthen her leadership abilities by helping organize service projects, orientations, induction ceremonies, as well as head up several committees for their HIA and College Projects. Through those experiences she has grown tremendously and looks forward to what the future holds! Rebecca Foster Gillespie is the representative from the Omicron Psi Chapter serving as the District II Vice-President for the Texas Region. A nontraditional student, she found her path to higher education after starting a family which now includes three beautiful children and a caring husband. It was only through their support and urging that she began attending Grayson College in pursuit of her nursing degree. As she looks back on these past years, she cannot deny that she has grown so personally and professionally. She says she has not always had confidence in her abilities, but her experiences through Phi Theta Kappa have taught her that she is a leader and that she can reach any goal she sets for myself. As a a chapter member, a chapter officer, and chapter president, she began a new adventure representing her chapter in regional office. It (what has been?) has been a life-changing experience for her, just as it has been for so many in Phi Theta Kappa. Once she completes her Associates Degree in Nursing, she plans to pursue her dream of becoming a Nurse Anesthetist by acquiring a Bachelor’s and Master’s Degrees at UT-Tyler. Personally, she is a bit of a science nerd, and loves meeting new people. So please do not hesitate to start a conversation with her if we you don’t already know her. She sincerely wants each and every one to have a meaningful experience with Phi Theta Kappa, and she and her chapter are excited to represent District II. Chesney Davis is the District III Vice President of the Texas Region. He grew up in Pittsburg, Texas, and played baseball all his life. That was until he broke his face playing it, though it is still a big part of his life. While in high school he was very active in his FFA chapter, serving as an officer every year and later president. During his time with FFA he built several large projects, won awards, and eventually received his Lone Star degree, the highest FFA degree that Texas can give. He is also an avid hunter, outdoorsman and has been shooting since he was big enough to hold a gun. Currently, he a student at Northeast Texas Community College pursuing an engineering degree. At NTCC he is a Presidential Honors Scholar, active member of Alpha Mu Chi, and a math and biology tutor. He is pretty laid back, but serious when he needs to be. He doesn’t think that he has ever met a stranger and he actually finds public speaking very fun. Mostly, he enjoys spending time with his friends and family. Chesney is honored to represent his chapter as the District III Vice President for the Texas Region. Stephanie McSheehy is your District IV Vice President. She has always described herself as an outlier as they are traditionally seen as randomized points that do not conform to the trend lines set by others. Though she blames stubbornness, she has exceeded every expectation and goal she has accepted or set. She is a product of a second generation of abuse. Having endured a violent home life, she sought refuge in her education by investing in her studies and extracurricular activities. Gaining dedication and resilience by diving into education, she became the first person in her family to graduate high school with the highest honors and the first to attend college. 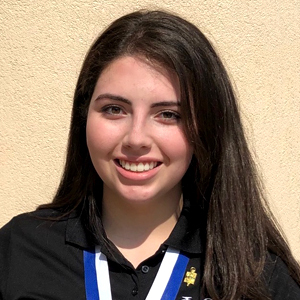 She found San Jacinto College and was accepted into Phi Theta Kappa her second semester where she has since served as Public Relations director and President of her chapter, Alpha Gamma Zeta. When she is not binge watching Parks and Recreation, she is talking her chapter into crazy ideas such as running for Regional Office or to help volunteer at domestic violence shelters. 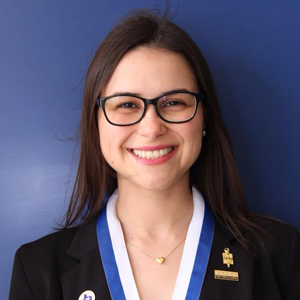 Through Phi Theta Kappa she has found a family of other outliers – each having their own inspiring story on how education has changed them for the better. She feels that someday every outlier will become their own trend: a trend of successful leaders of tomorrow. 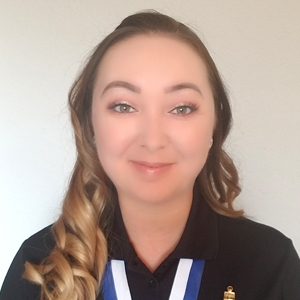 Chelsea Reimer if the District V Vice President of the Texas Region and has served as the President of the Beta Alpha Chapter from Blinn College’s Brenham campus. Born and bred in the town of Brenham, she holds the community dear to her heart. Being the small-town girl that she is, fishing, hunting, and spending time with her family are important aspects of her life. Although she does not mind getting her hands dirty, she is always wearing an invisible crown. Known to her family and friends as being a bit of a “diva,” she never fails to make her presence known. Her little sister, Brittany, a fellow Beta Alpha officer, is her rock and hero, but most importantly her best friend; the bond that they share is unlike any other. While actively engaged with her local chapter of Phi Theta Kappa, she is also involved at the regional level of the Student Government Association. If that is not enough, she also serves as a student worker for Blinn’s District President. Being a first-time, non-traditional college student who is going back to school after working for the United States Army for almost four years in Fort Drum, New York, she will be graduating with distinguished honors in May with her associates degree. Recently, her dream of being accepted into Texas A&M University became a reality. She will be attending in the Fall of 2018 to study accounting while continuing part time at Blinn College. Even though her life is full of activities and academic commitments, her greatest motivation is to make her family, school, community, district and the Texas region proud.